My current workplace, the University of Cologne, grants every year 3 “future” awards to individual researchers based on their excellent research activities in the last couple of years. Each of the prices is awarded to a senior researcher, who are usually already Professors, and a “junior” researcher, who are mostly post-doc or Junior-Professors. 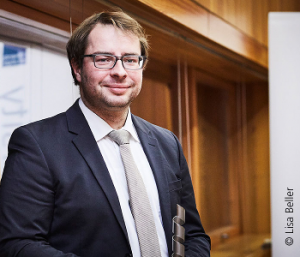 There are 3 different awards for the different scientific disciplines: the Max Delbrück-Award for Nature- and Lifesciences, the Leo Spitzer-Preis for Humanities and the Hans Kelson-Award for Law and Economic Sciences.